parents . . . and still applies today when we are grandparents. Catch them doing something good and let them know you noticed and appreciate them! Pay attention. Listen. 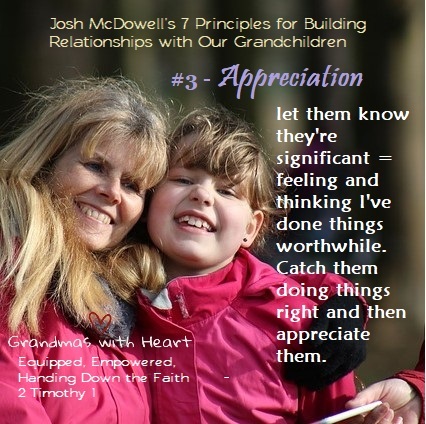 Be grandparents who notice and appreciate!